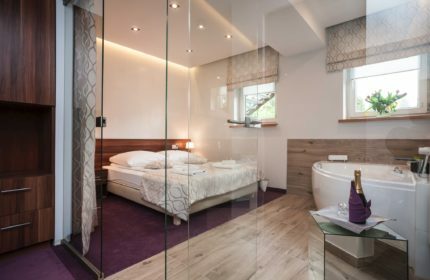 Single rooms consist of a sleeping area and bathroom. 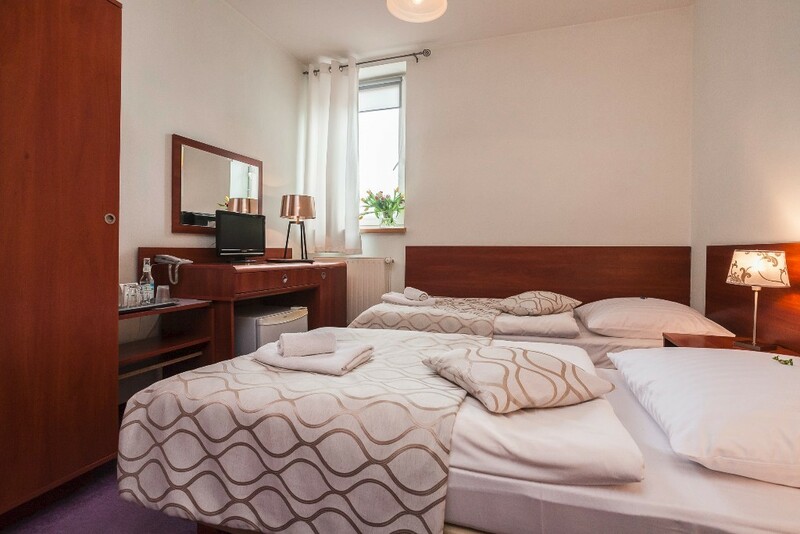 Renovated warm interior and modern furnishings will make you feel comfortable and make your leisure easier. 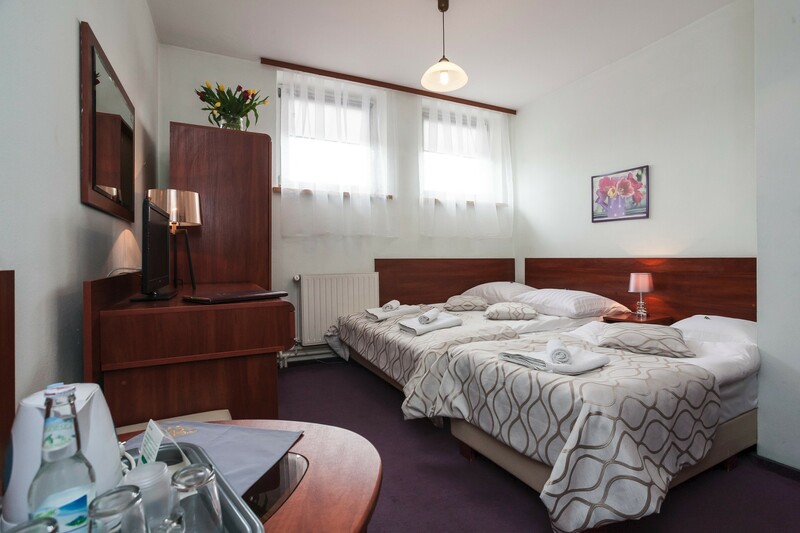 We provide our guests with professional and comprehensive service, we employ qualified staff, fluent in foreign languages. 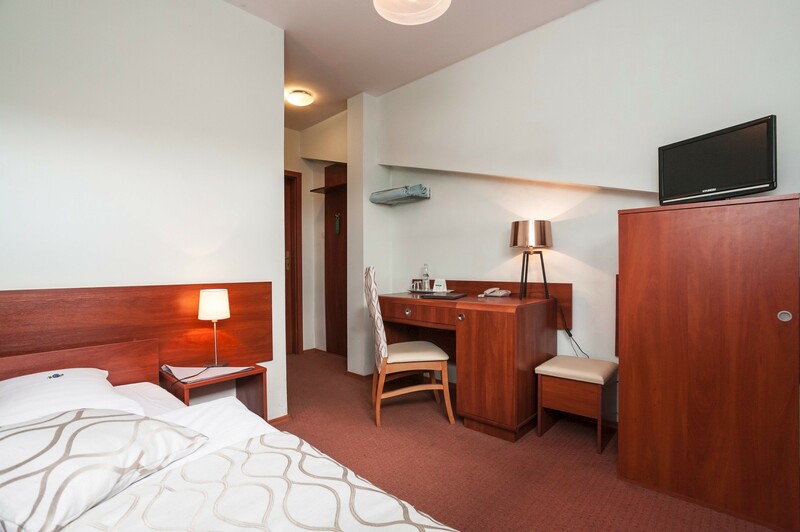 We care about the well-being of our guests and we will do our best to make you feel at home. 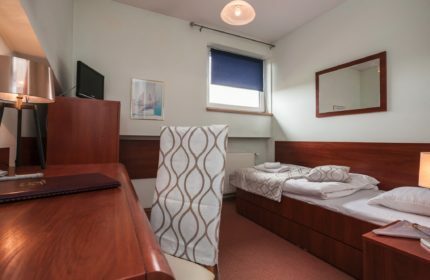 Check price in price list. 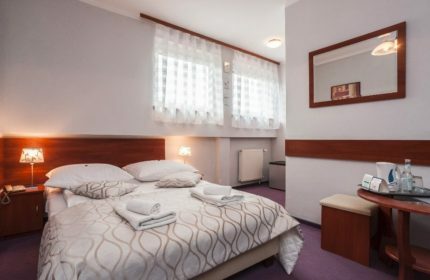 Room designated for one person. 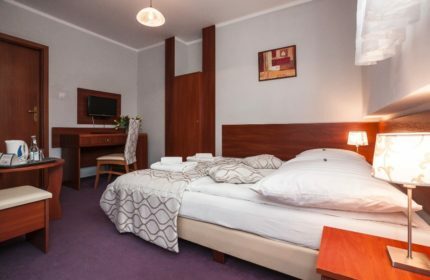 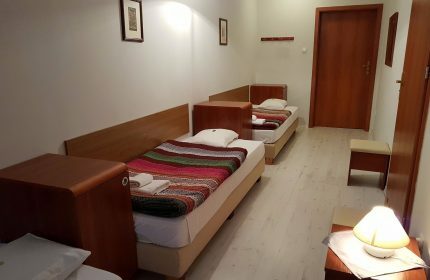 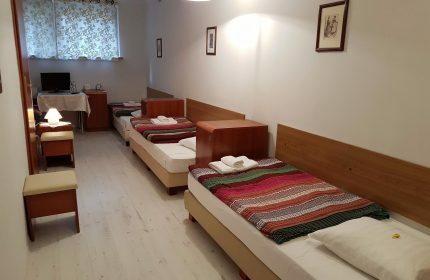 Charge for each additional person in the room – 60 zł. 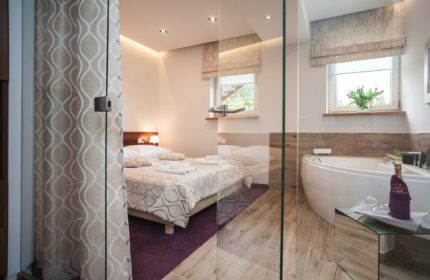 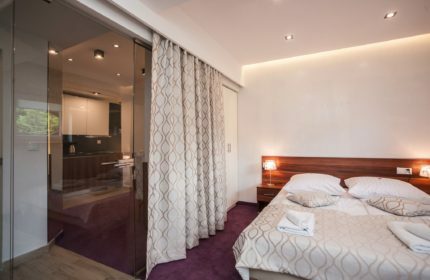 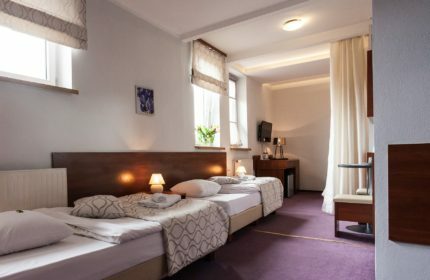 Double or twin rooms consist of a sleeping area and bathroom. 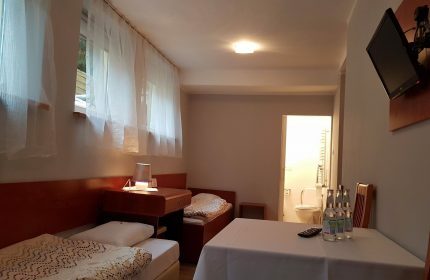 Room designated for two people. 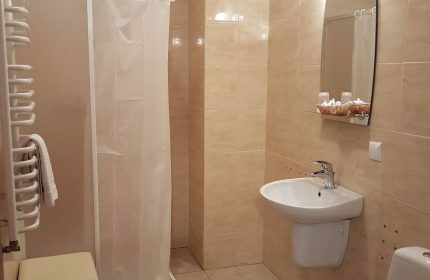 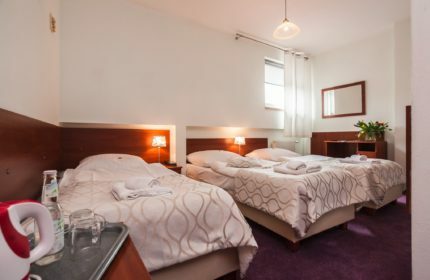 2Triple room consist of a sleeping area and bathroom. It’s avilable with three reparated beds, or with one double bed and one single bed. 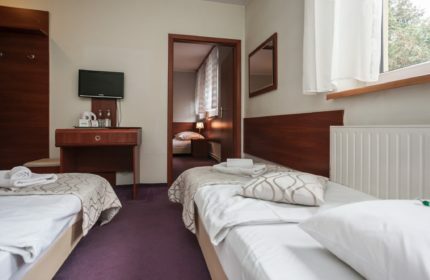 Room designated for three people. 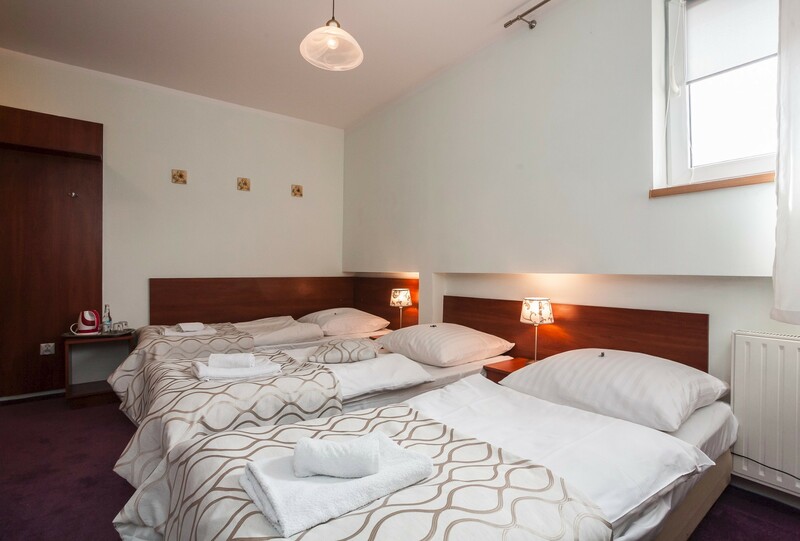 Quadruple room consist of a sleeping area with double bed & two single beds, and bathroom. 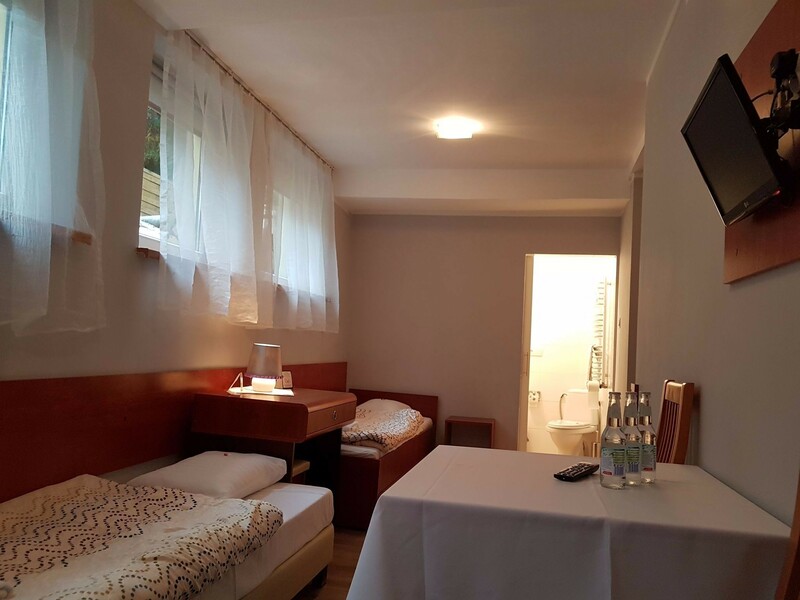 Room designated for four people. 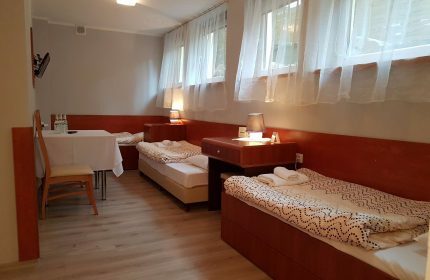 Charge for each additional person in the room- 60 zł. 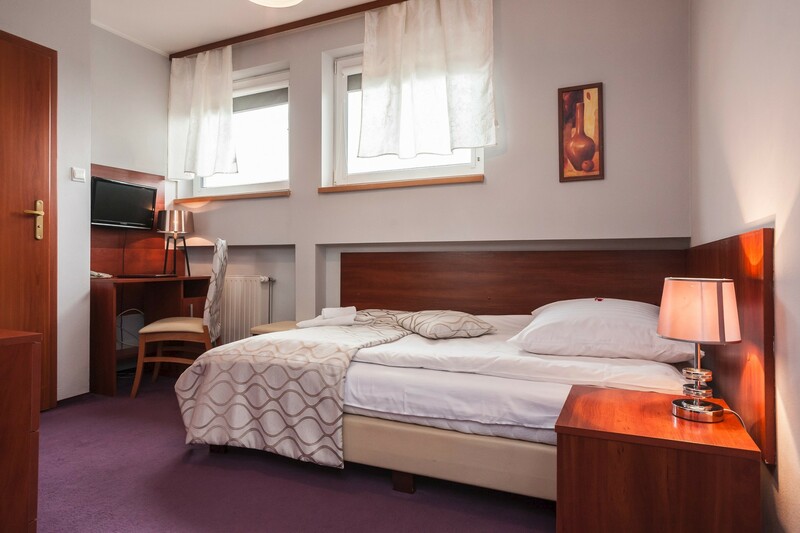 Cosy and comfortable studio is located on first floor of our Hotel. 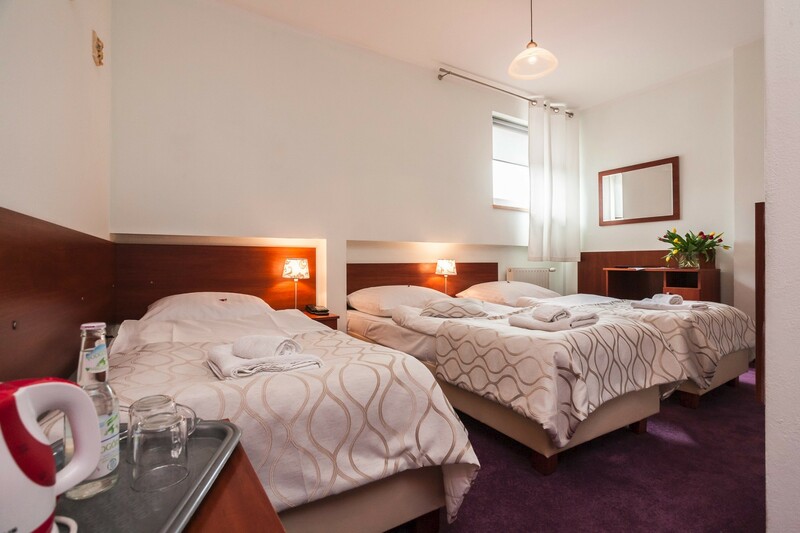 It consist of a sleeping area with one double bed and three single beds, and a bathroom. 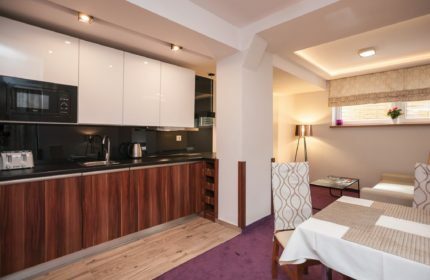 In room we provide fridge, kettle, 42″ tv, and wifi. 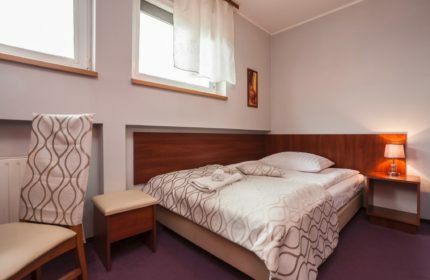 Room is perfect for family with children. 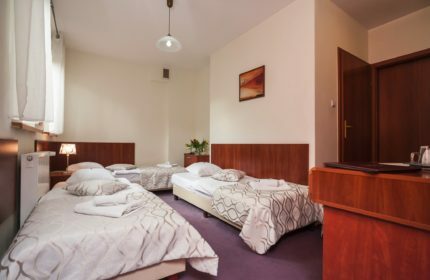 Room designated for five people. 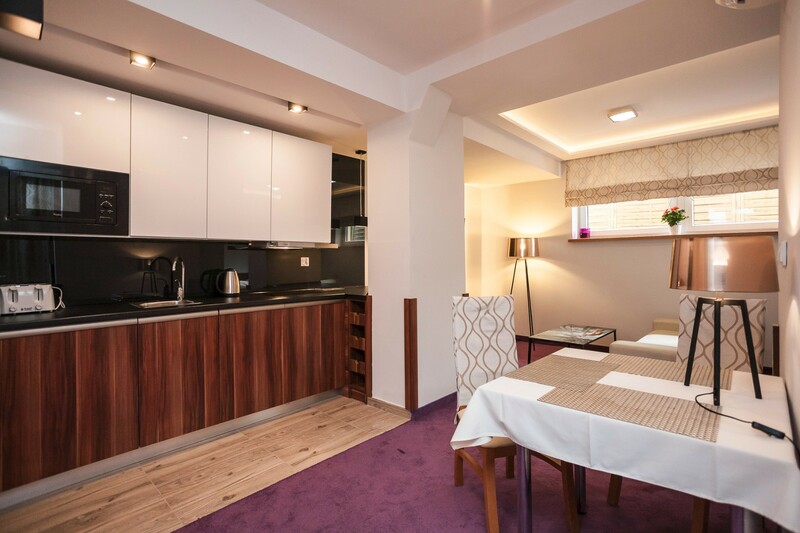 Modern, air-conditioned apartment of the highest standard, located on the ground floor. 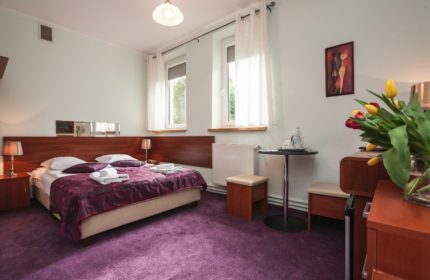 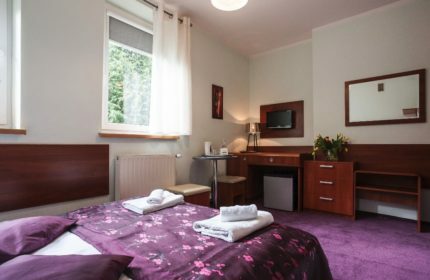 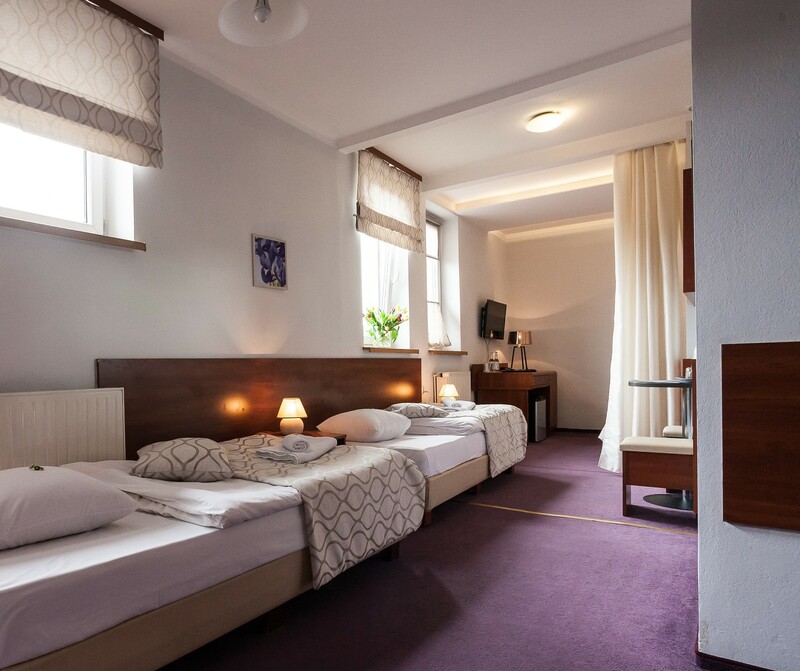 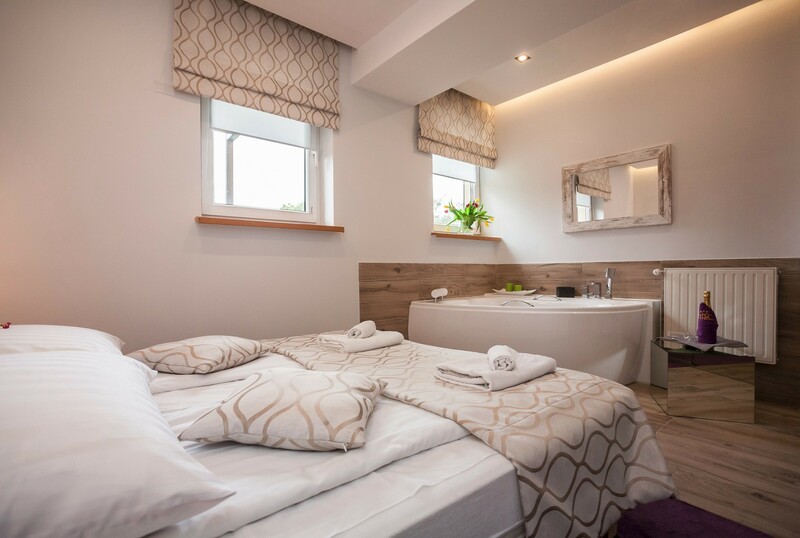 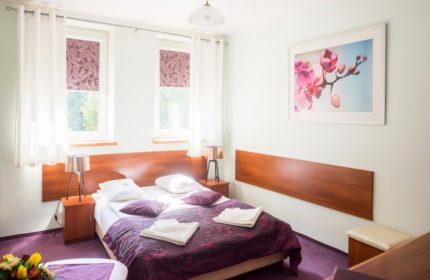 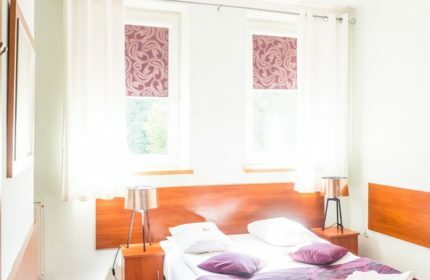 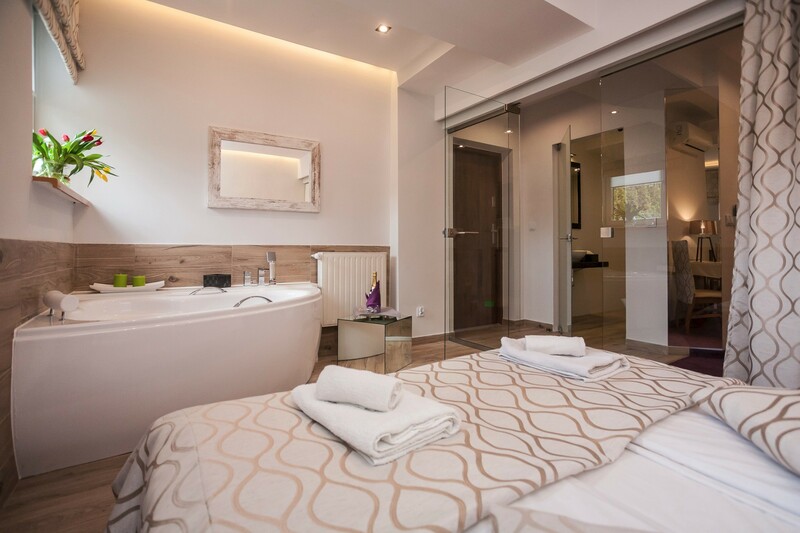 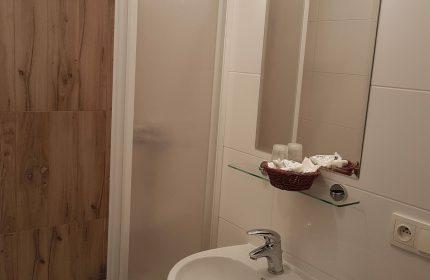 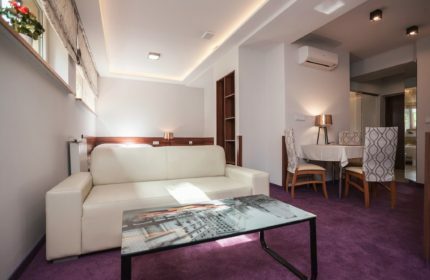 The apartment features a cosy bedroom with a king size bed and a bathtub, a comfortable living room with a sofa and a TV, connected to the second bedroom with a double bed and a single bed. 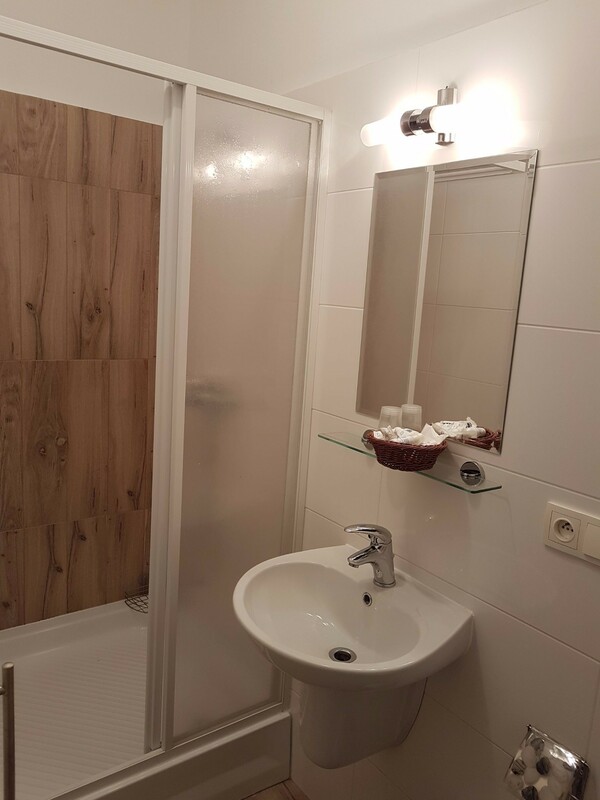 There is also a kitchenette and a bathroom. 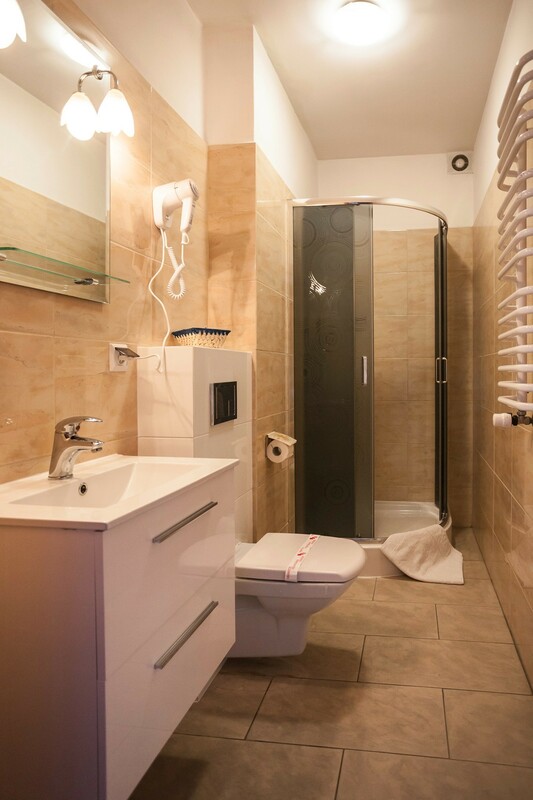 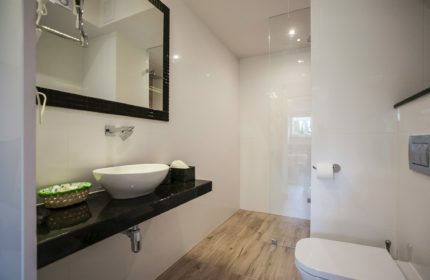 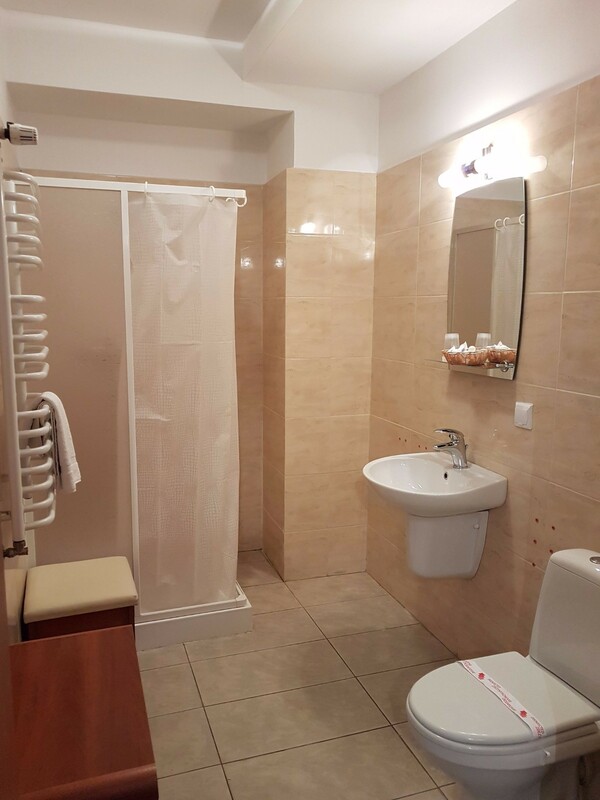 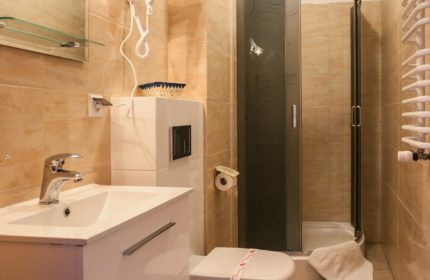 The bathroom is equipped with shower, toilet, bidet, hair dryer, two-way retractable cosmetic mirror, potty. Kitchenette is equipped with utensils, plates, glasses, cutlery and utensils, including electric hob, hood, microwave, fridge, dishwasher, washing machine, coffee maker, electric kettle, juicer and toaster. 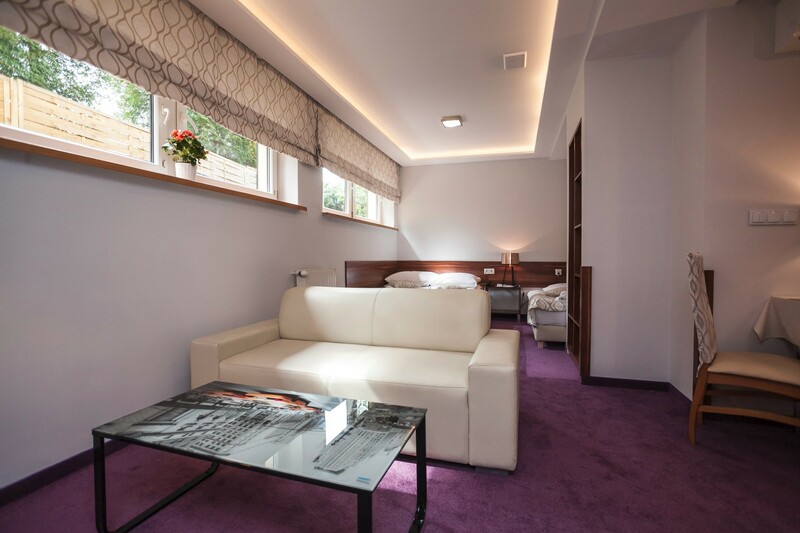 Each window can be covered with electric shading blinds. 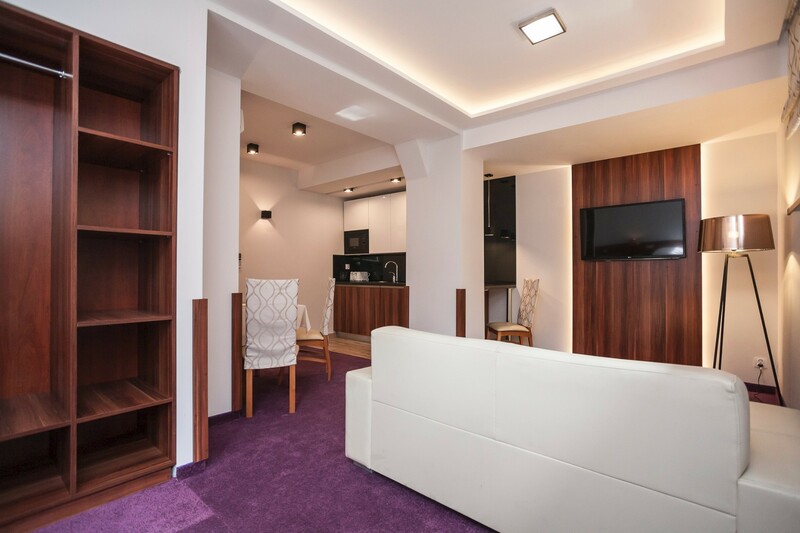 Ideal apartment for families with children. 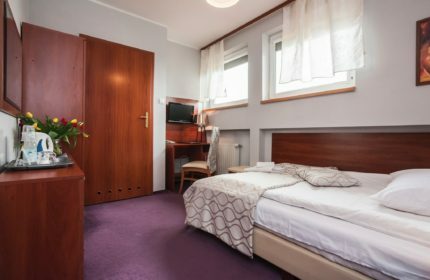 Economy priced rooms are lower standard. It’s a good choice for guests, who want to stay at our hotel in lowest possible price. We have economy triple and quadruple room. 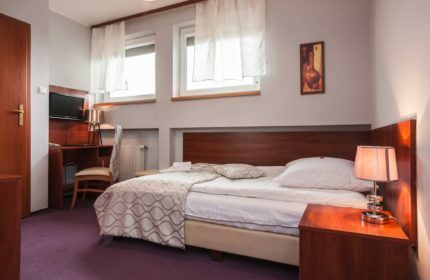 They may vary in size, location, equipment from those in the regular offer. 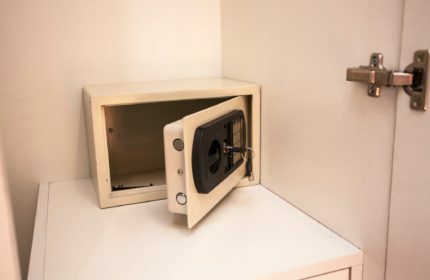 Usually it’s impossible to change economy room for standard room. 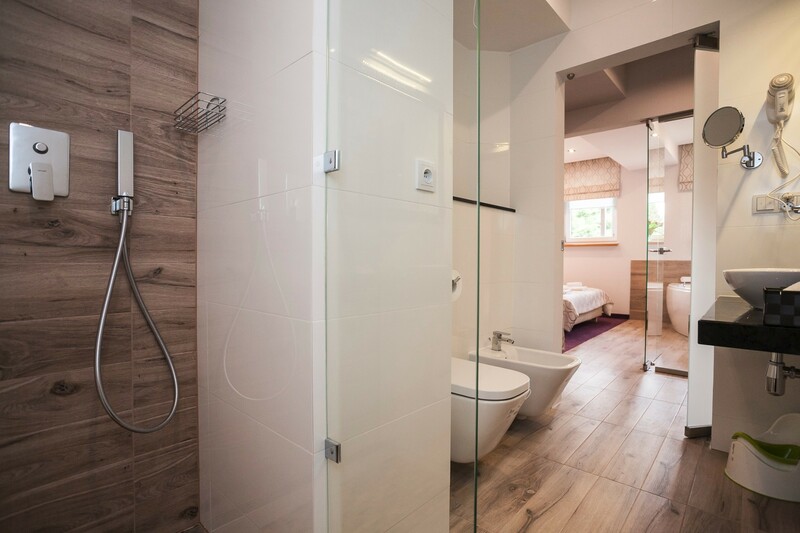 Available only on selected dates (at large occupancy) on phone or email inquiries.